Yesterday, Not The Barnet Times called for electoral reform to restore trust in the political process. Mr Cameron is absolutely right, but his proposal should be extended to cover all councils with tax raising powers. As we revealed yesterday, only 21 people out of an electorate of 216,717 voted for Mike Freer to be leader of Barnet council - a mere 0.0097% - yet Freer has been able to spend hundreds of thousands of pounds of taxpayers money hiring consultants for his crackpot Barnet Bond and Future Shape schemes without any democratic mandate. Tens of millions of Pounds were invested in dodgy Icelandic banks and all the while Freer and his cronies rewarded themselves with inflation busting increases in their allowances. Politicians have a tendency to accept the glory when things go right, but blame everyone else when they go wrong. 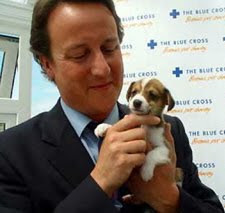 David Cameron’s proposals will allow the public to put an end to that practice.